QR (or Quick Response) Code is a two dimensional image that contains some coded information. It is similar to the one dimensional barcode, but QR can contain more data than barcode. As the name suggests, a QR Code can be read very quickly too. Due to these factors (large storage and quick readability), QR Codes have been more popularly used lately. Just like barcode readers, there are specific devices that scan and interpret QR Codes. Nowadays, however, many smartphone apps have been developed that are able to interpret QR Codes by scanning it with the phone’s camera. As mentioned before, a QR Code can contain more information than a standard one dimensional barcode. A 1D barcode can store up to a maximum of 30 numeric characters; 2D QR Codes, on the other hand, may store up to 7089 numeric characters. And since QR Codes are readable on smartphones, QR Codes are useful in a lot of applications. Due to its large storage capacity, a QR Code may hold a variety of information. It may be the URL of a web page, contact information, a business card, directions to a specific location, and so on. 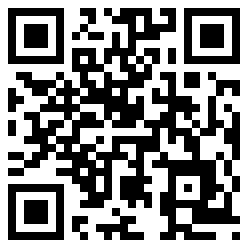 In order to read the information embedded in the QR Code, you need to install a QR Code Reader app for your smartphone. Once installed, open the app and hold your phone’s camera in front of the QR image. Your phone will automatically know which application to open in order to display the embedded information. For example, if the QR Code is a webpage URL, it will automatically open the phone’s browser and load the webpage. If it is a business card, the contact information will be automatically stored in your phonebook. The QR Code scanner takes only a few seconds to read the embedded information. Depending on the size of the QR image, how much information it contains, and the error correction level, a QR image may be categorized according to the storage data type (Numeric, Alphanumeric, Binary, or Japanese/Chinese character set Kana/Kanji), version number (ranging from 1 through 40 indicating the QR image dimensions) and the error correction level (L, M, Q or H). The higher the error correction level, the lesser the actual information stored in the QR Code. Detailed information about the design and use of QR Code can be found on Wikipedia. There are some websites which let you create QR Codes online for various types of contents. Here, we list a few of these websites. Kaywa: The Kaywa QR Code Generator can generate QR Codes for URL, Text, SMS, Phone number or a Contact entry. In addition to the free QR generator, it also has a premium plan which includes features like safe code generation, dynamic QR codes, Analytics, etc. Codes for Text, URL, SMS and Phone number can be generated for free. QR Code for creating Contacts requires Kaywa’s Premium membership. QRStuff: This is the most comprehensive (and free) QR Code generator that offers a wide range of options. QRStuff can generate QR Codes for 19 different types of content. You can also customize the color of the code and determine in what format to download it once it has been generated. The website also has a lot of information on QR Codes, along with various illustrative examples. GoQR: This website generates customizable QR Codes for free. The available content types for QR generation include Text, SMS, Call, URL and vCard. The website also lets you customize the image size, error correction level, blank border depth around the QR Code, background and foreground colors, and also the encoding format. There are a lot of QR Code Readers available for different smartphones – iPhone, Android, Blackberry, Windows Phone and more. Popular reader apps include the Kaywa Reader, QR Droid, Quickmark, Scan-for-iPhone, Google Zxing, Esponce QR Reader, etc. However, there are also online barcode and QR Scanners available in the web. Some of these are listed below. Zxing Decoder Online: This website lets you submit a QR image either from an internet location (URL) or upload a QR image file and decode the actual information. QR Generator by Patrick Wied: This website can decode as well as generate QR Codes. Click on the “I want to generate a QR code!” tab and enter the text to be coded. Hit the “Generate!” button to generate the QR Code. Alternatively, you may also click on “Make it awesome!” to apply random colors and designs to the code. Thanks to error correction, the code will still be readable by the decoder. To decode a QR Code, select the “I want to decode a QR code” tab. Now choose the QR image file and click Upload. The decoded result (text) will be displayed on the screen. Online Barcode Reader: This website can decode various barcode formats like UPC-A, UPC-E, EAN-8, EAN-13, Code 39, Code 128, QR Code, Data Matrix, PDF 417 and ITF. It supports uploading of images of PNG, JPEG, TIFF, GIFF and BMP formats with a maximum of 1MB file size.